So recently I saw this commercial on tv. I was just watching some ridiculous late night shows and nearing the point of dozing off into a pleasantly peaceful sleep when, all of a sudden like a mailman in the sights of a doberman, my eyes and ears were assaulted by this sad as hell excuse for a commercial. For some reason, I couldn’t find this particular version on YT…but then again I didn’t look too hard. Now I know this sort of situation is a really scary thing for the elderly out there, but they really could’ve tried a bit harder to sell the point. I mean the lady near the beginning that had the heart attack couldn’t have been more bitter than my milk after finding it in the back of my refrigerator after a couple months. Past the expiration date. “When you had a heart attack like I did, and there was no one there. Life Alert was there for me.” And for the home protection part…I don’t even know where a good place to start would be. For instance, the guy watching over the house…what was he doing before the call, just sitting there? Chillin’ maybe…possibly eating some cheetos by his looks… I mean if you watch that part, the screen turns on as if it was off the whole time. But whatever, maybe I’m just reading too much into something that only took 20 minutes and the creative ideas of a couple of second graders deprived of their nap-time. Actually, never mind because that would have been a hell of a lot more creative than this commercial haha. But in all, I’m only poking fun at the commercial not at the actual situations. Ellie Goulding is a sweetheart! I heard this track in the car the other day and boy was I surprised. I would never have thought in a million years that a song of this magnitude would be played on the radio. On the radio stations today I feel like there is nothing but trash. I mean some of the songs are alright, but when the radio stations play the one song every 10 minutes or so it can get pretty frustrating. Sometimes I’ll even change channels only to find the same song playing…except on this channel it will have just started. 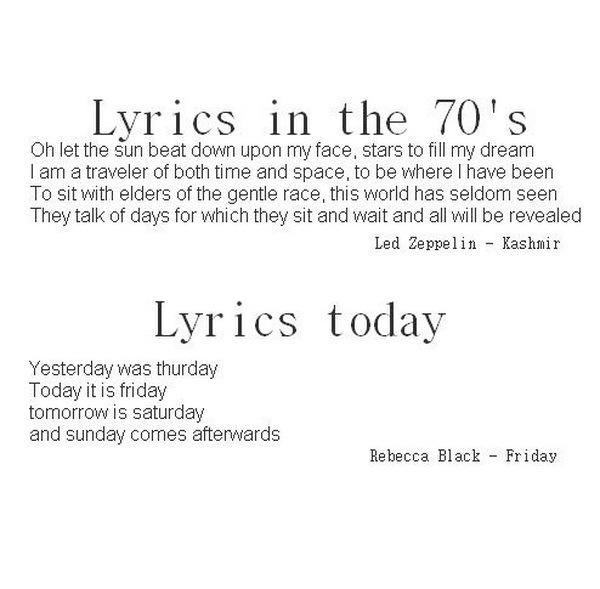 And the lyrics to some of the songs…what the hell were they thinking when they wrote it?? A printer on crack that’s submerged in water could do better. 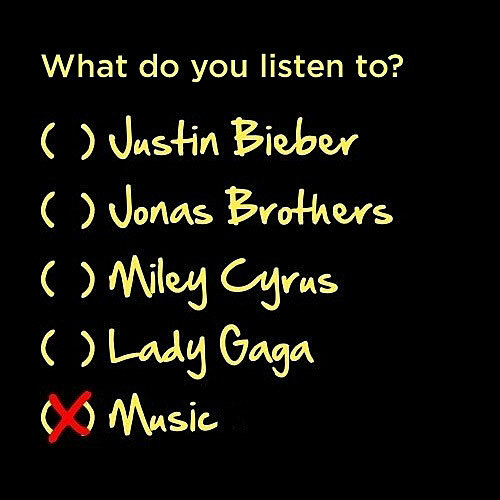 Music is something that has really played a part in my life. Now, thinking about it I can’t really imagine a world without it. It has the power to heal and to calm like nothing else. Whenever I hear a track like this, all of my worries just melt away. I’m sure that if some of the right people heard the right tracks that world peace can be achieved. That’s probably a long shot, but maybe you could postpone your parents from spanking you for just a few more minutes.